Five to 6 feet from head to tail, shoulder height 2 1/2 to 3 1/2 feet. 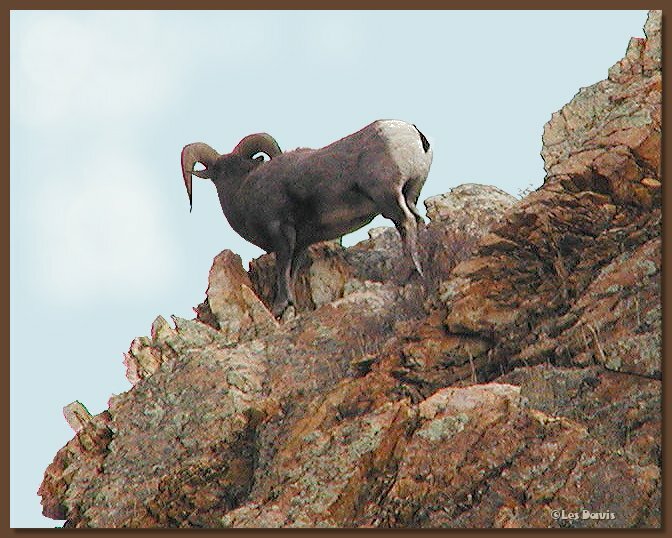 Ram's horns are massive (up to four feet) and spiraling, while the ewe's are much smaller and only slightly curved. 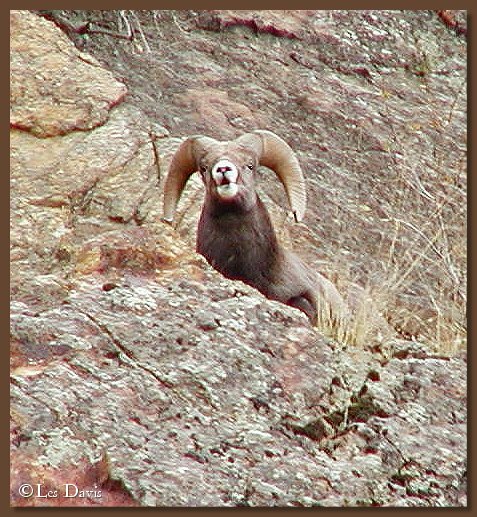 Rams with the biggest horns are dominant. Both are brown or grayish-brown with a white rump. Their hair is hollow which insulates them from temperature extremes. 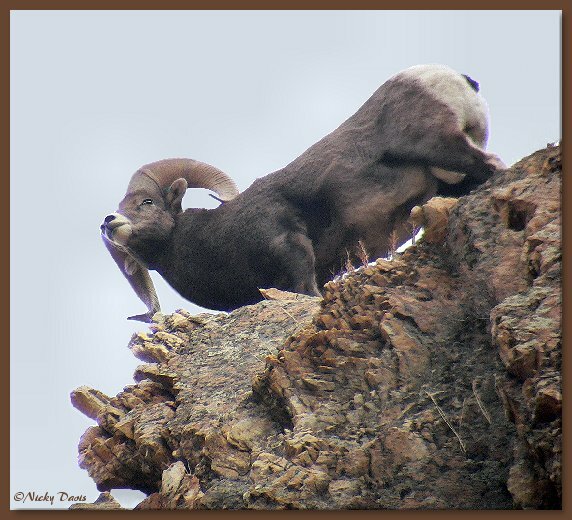 Halves of each hoof separate allowing the feet to cling to rocky terrain and the soles are soft which allows the Bighorn to keep it's balance on slippery ground. They inhabit rugged mountain slopes and cliffs and can jump across a twent foot span. In summer old rams roam together but in fall they join bands of ewes and young. They normally eat grass but in winter they rely on willows and other woody plants for food. In summer they can go three days without water using only the moisture from grasses to keep them hydrated.